Could you help FOLIO Sutton Coldfield whilst you shop? 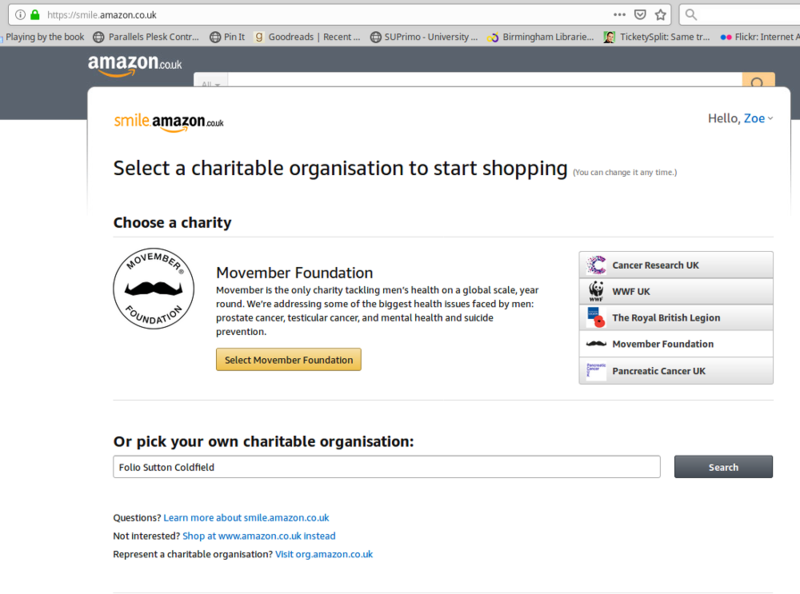 Amazon has a scheme which enables you to donate to a charity with every purchase you make. It costs you no extra money – but helps raise funds for the charity of your choice. 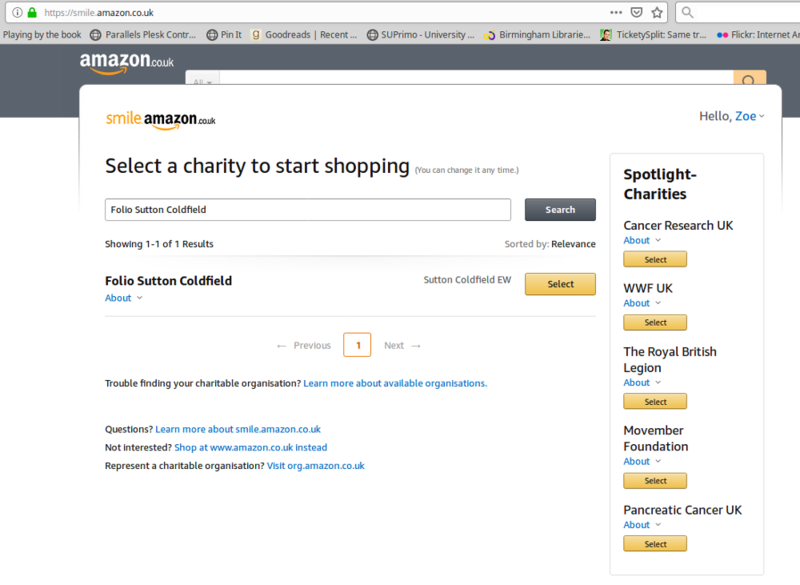 Step 1: In your internet browser go to smile.amazon.co.uk and log-in using your Amazon log-in details. 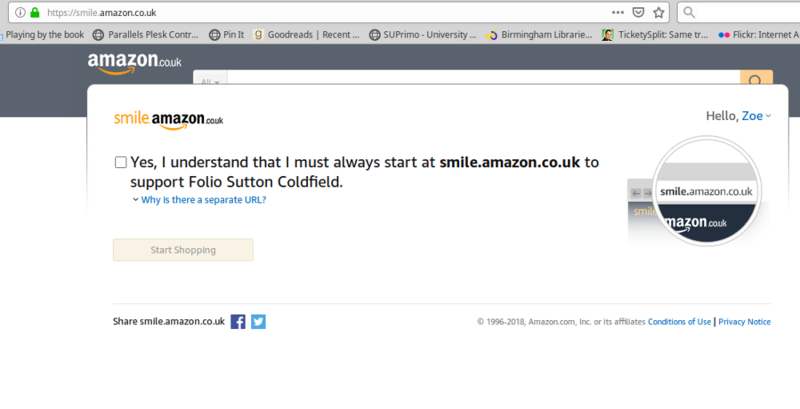 Step 3: Under the heading “Or pick your own charitable organization” enter “Folio Sutton Coldfield” then click “Search”. NB Please enter “Folio Sutton Coldfield” exactly like this i.e. with the spacing and capitalisation shown, otherwise Amazon won’t find FOLIO. Step 6: You will be redirected to Amazon’s homepage that adds a disclaimer about how to add Amazon Smile to your toolbar, should you want to add a particular bookmark for it.